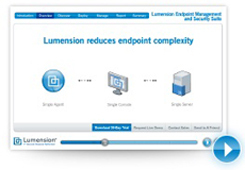 Power Save delivers PC power management that does not interfere with user or IT requirements. Power Save keeps computers running when users need them and accurately determines when computers are inactive so they can be powered down. 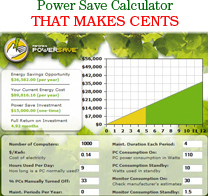 Power Save generates accurate reports detailed by computer and monitor that show the incremental savings gained through the use of Power Save in both kWH and $; this data can be exported to any other reporting tool for additional analysis. Faronics Power Save significantly reduces workstation power costs, with the average customer saving up to $50 per machine, per year. Power Save was specifically developed as not to hinder day-to-day operations, allowing IT to set strict parameters on.